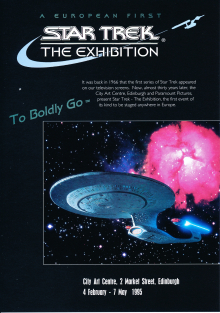 The picture of the bridge and the Enterprise were taken at the above exhibition in Edinburgh. This told the complete story of Star Trek from the very beginning with the use of original props and costumes from the series and films. The flyer shown above was circulated to publicise the event. 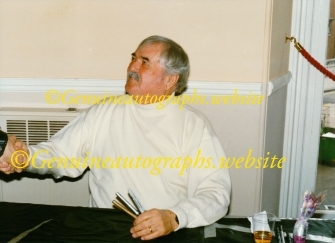 Although I have met just about everyone who has anything to do with the Star Trek universe I cannot, unfortunately, say it was always a pleasure (remember the saying about meeting your heroes!!). What I can say is that everyone in the original series and ‘Star Trek Voyager’ are always friendly and appreciative of fans. Other fans may have had different experiences and I look forward to your comments. 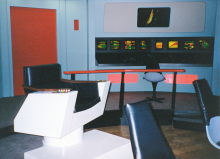 The original series of 'Star Trek' is my favourite and has always held a certain fascination for me. Perhaps it's because I saw them as a child when they first aired in the 1960's, and the idea was way ahead of its time. Whatever the reason, it remains as popular today as it ever was. It was natural, therefore, that my collection would focus on this particular area. 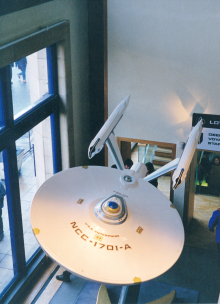 I have been going to Star Trek conventions for over thirty years and am delighted to say that nobody has a better collection. Without a doubt, the best convention I have ever attended was at the Royal Albert Hall in April, 1996. 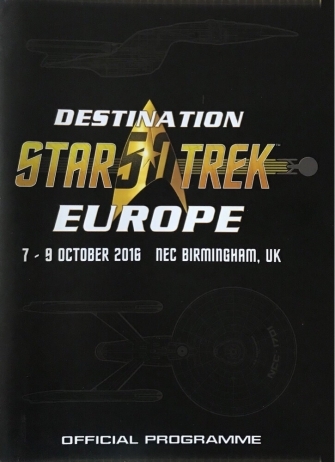 The convention, named 'Generations 2', was to mark 30 years of Star Trek (see official programme further down). It brought together just about every character over a three day period. This was probably the last convention that was actually made for fans rather than just to generate huge sums of money. Not only were all the talks etc free, but there were comfy areas put aside for fans to relax and watch ST movies. Nowadays, organisers want you on your feet spending money!! 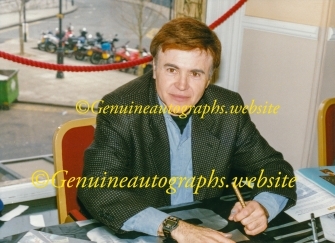 Pictured above at ' Generations 2' Walter Koenig (Chekov), and James Doohan (Scotty). 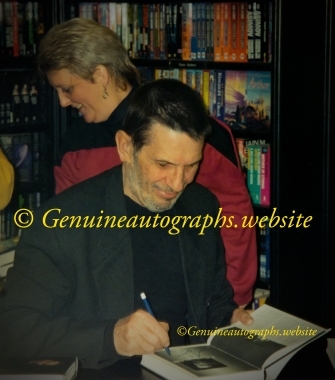 Leonard Nimoy signing copies of his autobiography 'I am Spock' at Waterstones bookstore in Manchester. The store had a policy where you were only allowed to get the book signed. 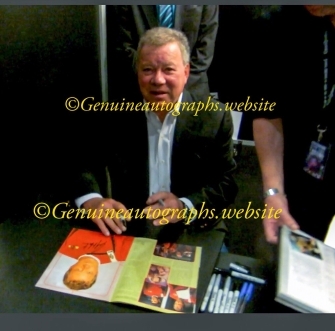 Fortunately, he totally ignored that and signed another two 'Star Trek' items I had taken with me. Spock is my favourite character and no collection is worth anything without his signature included. The only reason he isn’t in my ‘Hall of Fame’ is because he belongs on this page. 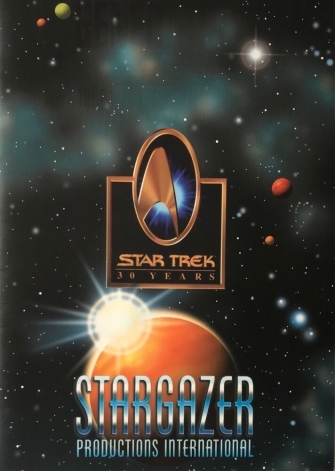 of Star Trek V1 and a ST book. 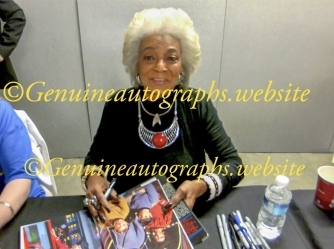 Whenever possible, it is a good idea to get the official programmes from conventions signed as it dates the signatures and adds to the authentication. However, sadly it must be said that most programmes are not worth signing due to the poor quality. The two official programmes shown below, marking the 30th and 50th anniversary of Star Trek, have pride of place in my collection as they contain many signatures.